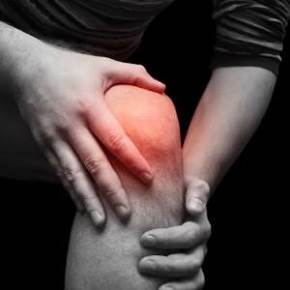 Osteoarthritis causes excruciating joint pain. I found chakra healing yielding arthritis pain relief to a great extent if not 100% so. The extent of relief depends on the extent to which the loss of cartilage between the joint bones has already taken place. But it does stop the condition from deteriorating further for sure. Unluckily osteoarthritis is the main cause of chronic disability all through the world. It’s also known as degenerative arthritis or degenerative joint disease. There is a crackling noise when the patient tries to move the joint resulting in muscle spasms at times. Later the joints often get filled with fluid. The joints that mainly get affected are the large weight bearing joints causing foot pain, knee pain, hand pain, hip pain, lower back pain and upper back pain among others. Humidity and cold weather seem to further accentuate the pain. 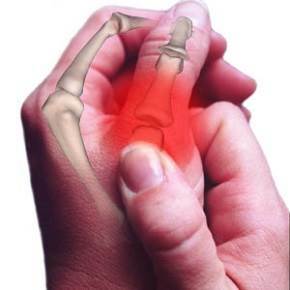 As the condition progresses, the affected joints go on increasing their size as well as stiffness and pain in them. Small joints on fingers and toes also start getting affected developing bony nodes, like bunions on toes; limiting their movement more than paining over there. Knee joint tends to accumulate excessive fluid in it giving rise to joint effusion over there. Osteoarthritis is said to be essentially a result of wear and tear caused by mechanical stress on joints. But had it really been so, there wouldn’t as well as shouldn’t have been any people who never have it in their joints as long as they are alive even in their 80s, 90s and 100+ as well! They also blame the loss of water content in the cartilage with age. 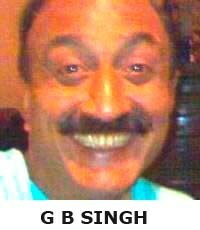 Even hereditary causes and genetic factors are held responsible at times. At others obesity and diabetes are held responsible as well. The fact is that it’s not the normal wear and tear of muscles, bones or cartilages between them. It’s rather the abnormal wear and tear of one or more of them, which gets so much of its quantity accumulated after many years of its keeping getting continued the same wrong way that ultimately at one point of time, which generally comes in the old age mostly; the structures of muscles, bones and cartilages succumb to the continuous unnatural pressure being exerted on them all through these years. Had the pressure on these joints been natural through these years, the story would have been totally different. As mentioned earlier, there certainly are multitudes of people who never contract any kind of arthritis all through their life! They luckily have been accustomed to keeping their body posture not as bad as the ones who fall victim to it. 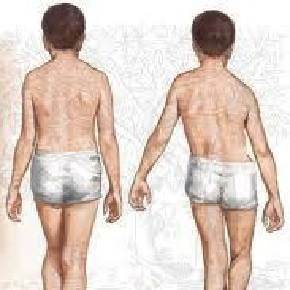 It’s basically the posture of the body that we have gone habitual of keeping permanently while sitting, standing, waking, running or even lying down in the bed that determines whether we are straining the weight bearing joints along with their bones, cartilages and the supporting muscles in a wrong way or right. The right way never develops any deformities along the years of life since it puts pressure on those extremities of the joints more that have naturally been designed to take it like that. But the way the majority of the human population on earth has wrongly learned to posture their bodies in unnatural and unhealthy ways, it does take its toll on them causing them to fall victim to the pain of osteoarthritis as early as in their fifties or at the most in their sixties. 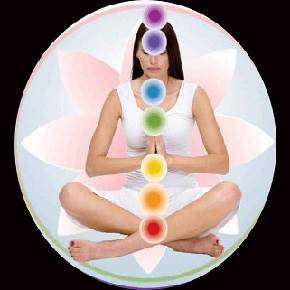 Chakra healing deals with re-posturing the body for the purpose of opening chakras, which automatically shifts the load bearing points situated on the joints. It gives a double-edged benefit to the purpose of arthritis pain relief. Number one, chakra healing releases the pressure that was being put on the wrong extremities of the joints, having caused the illness in the very first place and thus giving a rest to them resulting in arthritis pain relief. Number two, by putting pressure on the right extremities of the joints, chakra healing again brings the joints to a partially working state without feeling as much pain as they were doing before in their habitual posture they were keeping with their bodies. Another natural dose of arthritis pain relief! You can ask me any question by emailing me on gbsingh@7chakras.org, if you need asking anything regarding chakra healing for osteoarthritis and arthritis pain relief through opening chakras in the body. Hi, I also have got mine own blog and I really want to write on it what I found on yours. You wrote interesting things and I want to use your words on my blog. Is that OK?? I wish you all the best. There\’s a terrific amount of knowledge in this aritlce!